In Hollywood, it’s almost criminal not to look fashionable, fit and flawless all the time. Every time celebrities step out, they always seem to look incredibly gorgeous. But behind these stellar celebrities’ beautiful facades are always a well-armed beauty team, a stylist, and for many of them, a facial cosmetic surgery or two. Yes, Hollywood is no stranger to nips and tucks, and many celebrities are particularly partial to nose jobs. Whether it’s smoothing out a tiny bump or slimming down a bulbous nose, nose jobs are the go-to surgery of stars who want to improve their looks dramatically without being too conspicuous about it. Throughout the decades, many of Hollywood’s brightest have been rumoured to have gone under the knife, and only a handful of them have ever come forward and flaunted their nose jobs. In recognition of these ladies, here is our list of best nose jobs – ever revealed and admitted – in Hollywood. She is by far one of the most successful actresses to come out of the popular television series Friends, and it may be in no small part because of her changed nose. The actress has admitted to have undergone a rhinoplasty surgery to correct a deviated septum, which at the same time has slimmed down and straightened her nose. The result was not only her first good night’s sleep in years as the actress has stated, but a whole new look for her as well. Ashlee didn’t exactly say she had a nose job, but when asked about it she simply said, “I think as long as people have two eyes, then you probably know the answer.” If that isn’t conclusive enough, all you have to do is compare her before and after photos. It’s quite evident that she’s had the slight bump on her nose removed. Opinions about her new look are divided, but one thing is for certain: whoever sculpted Ashlee’s new nose did an excellent job. Miss Jackson has had no qualms admitting to having had a nose surgery done when she was just a teen, and it’s nothing new in her family either. 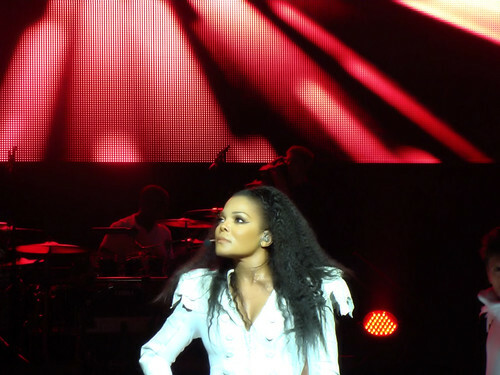 Both Michael and La Toya Jackson have had nose jobs, but neither have resulted in the same appealing look as Janet’s. Since her High School Musical days, it’s apparent to anyone who looks closely enough that Ashley has had some work done on her nose, and she admits to having them, but strictly for health reasons. ”I didn’t do this because I believe in plastic surgery. I did this to help my health. I literally almost could not breathe out of the right side of my nose,” the actress has said about her nose job. Whatever the reason may have been for the change, we commend her cosmetic surgeon for her new nose is certainly suiting her well. Plenty of other celebrities are rumoured to have had their noses altered, but only a very few, including these lovely ladies, actually admit to having gone under the knife. For that, we think these ladies deserve some recognition for being open and honest, and we especially like to thank their cosmetic surgeons for keeping Hollywood’s brightest stars shining – and breathing exceptionally. Debra Wright is a creative and innovative blogger and online marketing specialist. She uses her wordsmith skills to share her ideas, thoughts, and tips to other people about topics that fascinate her, such as beauty and celebrity news.